Happy Fall Ya'll! It's back to school time and we're headed straight into fall with lots of rodeos and in class lessons. Again, we're breaking our previous year's records with more and more requests for our lessons. We're always glad to help and look forward to working with your students soon! We were working with students at Cynthia Mann Elementary in early October, teaching safe crossing practice at the crosswalk near their school. 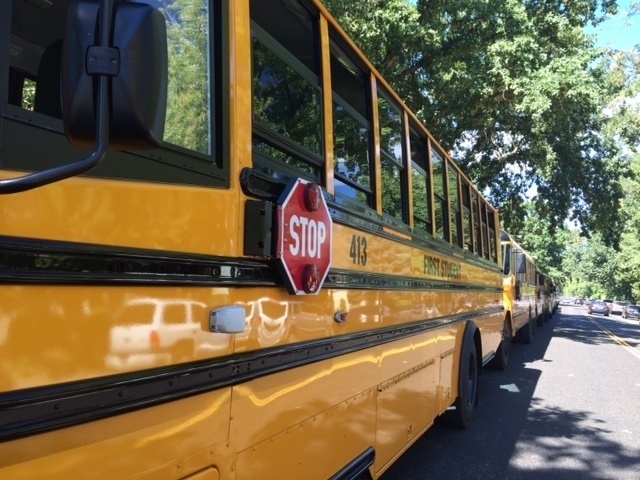 A school bus stopped to let students disembark, stop arm extended, lights flashing and... you guessed it! A young driver turned from a side street and went right through. It was perfect lesson for these second graders, and a reminder to us all to STOP when you see the sign extended. Even the kids were yelling at the driver. Time Change: remember your lights! November 4, 2018 is the end of daylight savings time, so remember to set your clocks back, but also remember to check your bikes and scooters for visibility. 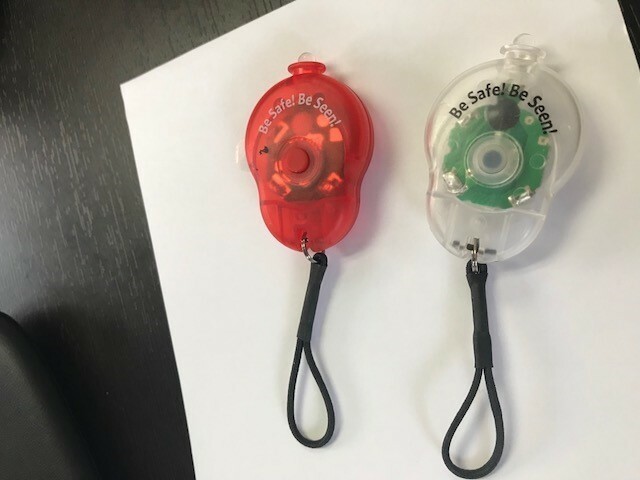 We see too many students without proper lights on their bikes, so please check with your kids and check the lights/reflectors/brakes/air pressure/chain with them before school each day. This matters! If we can see each other, we can work with each other. White light on the front must be visible from 500 feet in Idaho. A red reflector is required in Idaho, but we recommend adding a red light to be more visible to oncoming motorists. Forward and rear visibility matters to everyone. Walking School Bus: Try one today! 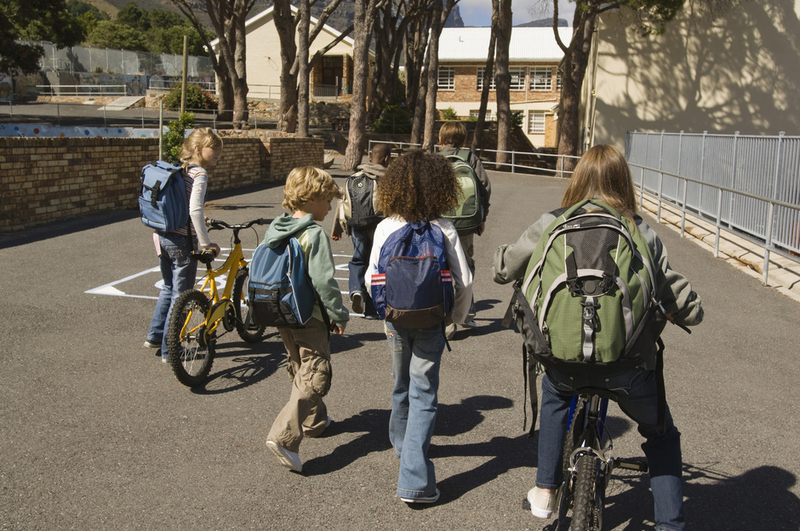 Ever seen a group of students walking to school together? There are informal walking school buses that take place every day, but what if you started a formal one in your neighborhood? We can help you sort out a few details to get you going. This is a great way to ensure activity before and after school, and helps activate the mind. 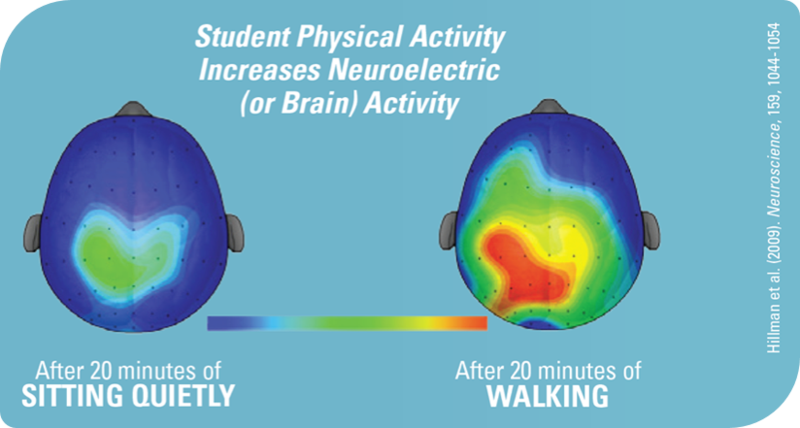 We know with regular exercise the mind becomes more active and this reflects in the classroom as well. Send us a note today to schedule your school!